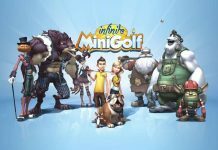 This week’s Free Game Friday is Wonderputt, a super fun browser game from Kongregate.com. In Wonderputt it’s your goal to go through 18 holes of mini-golf on a crazy course where you’re likely to see frogs, cows, and UFOs if you pay attention. The entire games takes place on one large course where it’s impossible to tell where your ball will end up next. 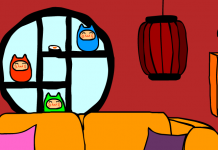 It’s really easy to pick up and play and try to get the highest score as possible. Wonderputt has some pretty simple controls. Using your mouse you can point the direction that you’d like your golf ball to go. Then by moving your mouse forward or back you can decide how hard you want to hit your ball. Of course, your ultimate goal is to get your ball into the goal but this isn’t always as easy as it seems. As your ball moves along the course some portions of the course may move or disappear periodically. This makes it imperative for you to come up with a strategy to get your ball to the goal in as little strokes as possible. After you play through the game for the first time when you start a second game you’re able to play Rainbow Mode. Rainbow Mode is where little pieces of a rainbow are scattered around each hole and if you can collect each one before you get your ball into the final goal a piece of the rainbow in the center of the course is filled. The goal is to complete the entire rainbow by the end of the 18th hole. 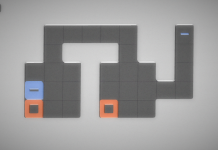 This gives Wonderputt a replayability factor that it didn’t need because you’ll be wanting to go back for another try when you’re done anyway. 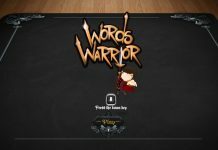 That’s it for this week’s Free Game Friday. 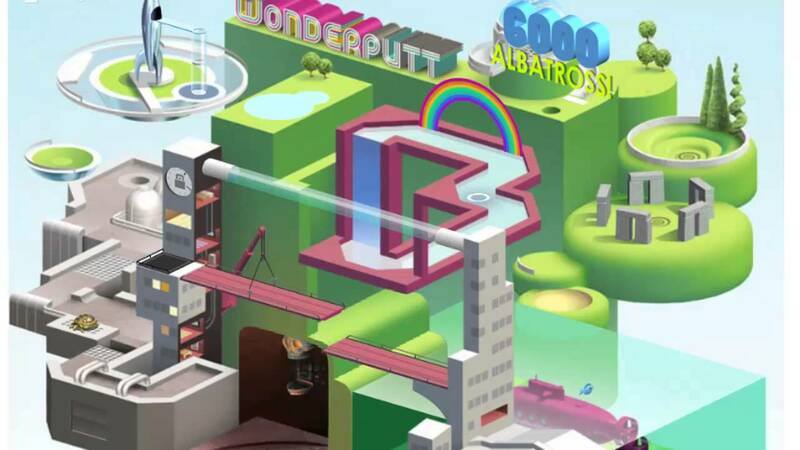 Wonderputt is really fun to play through and I guarantee you’ll be playing it more than once to try and beat your high score. 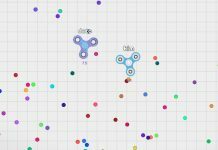 My current score is a little over 45,000. If you decide to give it a try let us know how you do in the comments below or on Twitter using #FreeGameFriday, we love hearing from you! Have a great weekend everyone and see you next week. 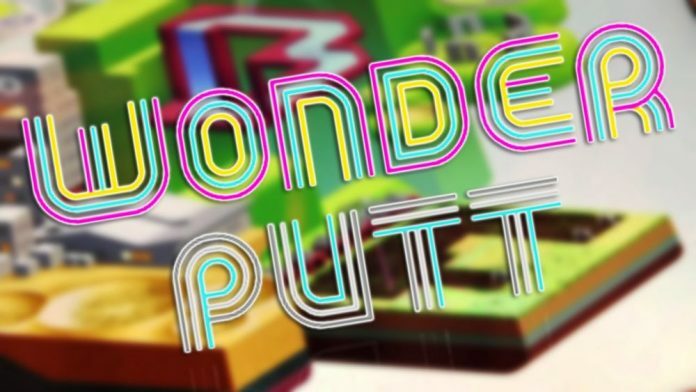 Play Wonderputt for free at Kongregate by clicking here.